Zotero's Groups feature allows you to share references with other Zotero users online. It's a great way to work on collaborative research projects. 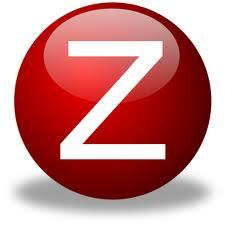 First, set up your Zotero account and synchronize your library. Next, log in at Zotero.org. There's a "Log In" link in the top right corner of the page. You can search for existing public groups or create a new group. Groups may be public (searchable, and anyone can join) or private (users can only join if invited). 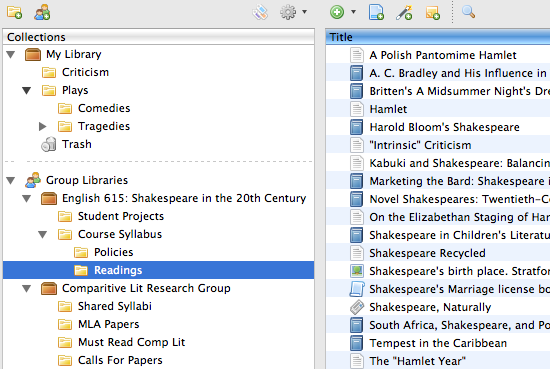 You'll now have two sections in your Zotero collections pane: My Library and Group Libraries. You can drag items back and forth between them at will. Zotero People allows you to join the Zotero Community and 'meet' other researchers working in your research area. There is plenty of help on the site, including documentation. A discussion list searchable by category which answers frequently asked questions and helps with troubleshooting.